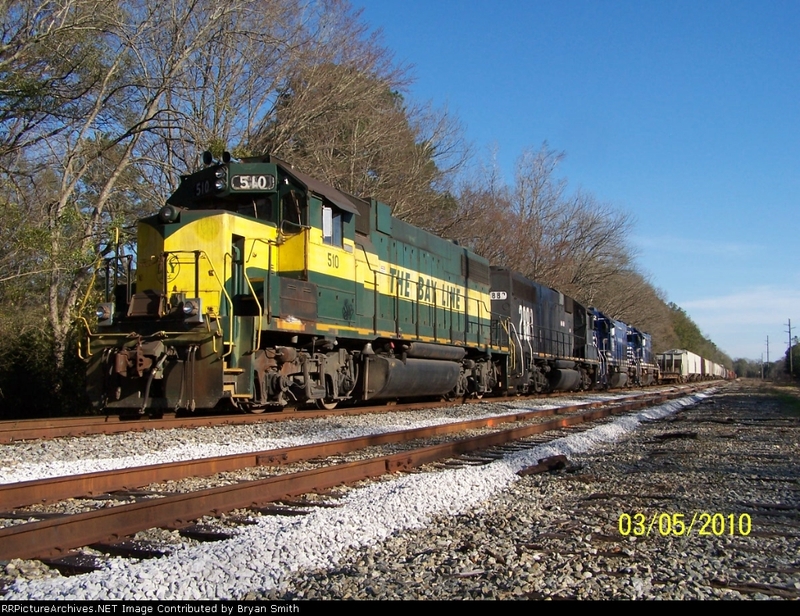 The Chattahoochee Bay local is seen near the Alabama Power tracks in Columbia with power from a variety of sources. Leading is a Bayline GP38 followed by a GP38 left over from the G&O ownership of the line. Next up is 2 AN GP15's followed by a long cuts of cars destined for Dothan AL. The Bayline, AN, and the Chattahoochee Bay RR are all part of the G&W roads.